Mamma knows that when you imagine the perfect camping spot, THIS is what you are thinking! 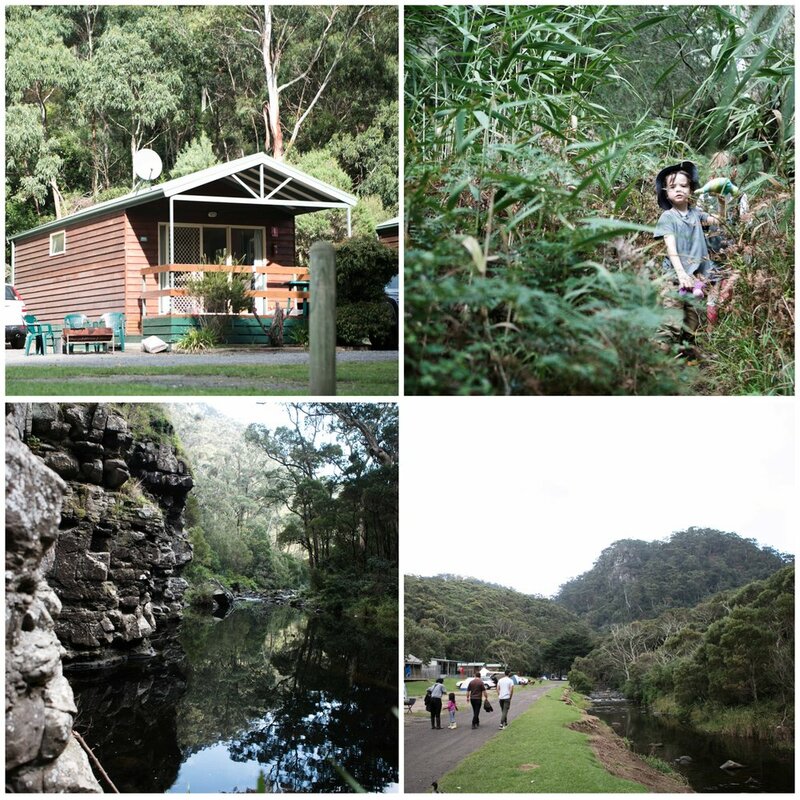 Cumberland River Holiday Park is nestled in amongst the beach, great ocean road, spectacular bushland, a majestic cliff face and has a sparkling fresh flowing river running straight through it, that is perfect for river rock hopping, splashing around in AND a spot of fishing. Really, it's four holidays in one! It is the kind of camping spot you could spend quite a few days in and still have plenty to do. - Explore, there is a great 15 minute walk through amazing bushland, balancing across a river rock bridge that takes you to Jebbs Pool - a stunning natural bush pool complete with waterfall and flat rocks to relax on. The walk in itself is 'no joke' spectacular and totally doable for a 5 and 6yo WITHOUT any complaints! 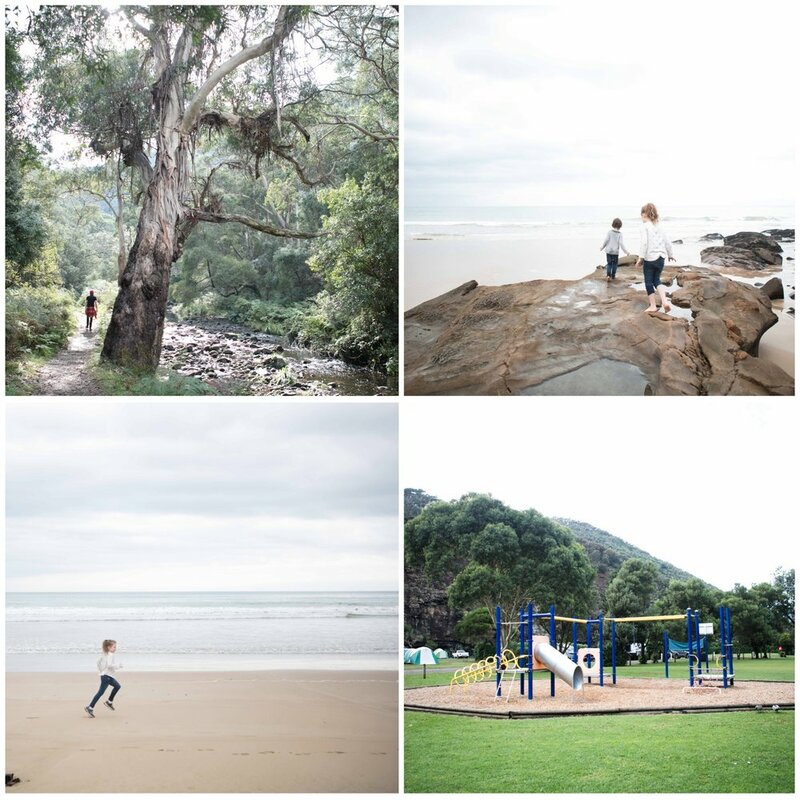 - On the other side of the park and just over the Great Ocean Road there is a majestic beach, perfect for a swim and plenty of space to run with heaps of rock pools to discover hidden treasures. - Inside Cumberland River Holiday park there is a playground and plenty of places for the kids to explore. The main attraction is of course the river (beware with the littlies). We played for hours in the shallows here. - Everybody here hires a drum fire pit for afternoons and evenings relaxing by the fire toasting marshmallows and cooking dinner. Bring your own firewood or they can provide for fee. 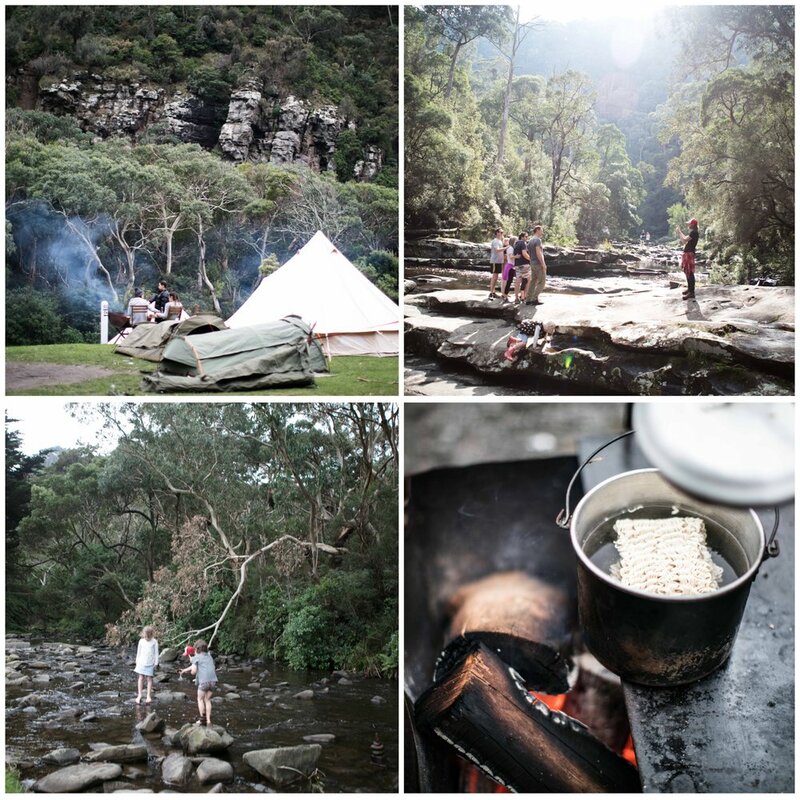 - Mamma suggests the camping option where you can be right beside the river and look up to the cliff of Castle Rock. - Not into camping? That's ok, there are also some very basic cabins* available (one power point, no toasters etc). - You can also hire on site eco tents or get your 'glamp' on and have a fancy tent delivered and set up for you. *Be prepared to clean (not just tidy) your cabin to get your deposit back or you'll be like Mamma having to return to finish the job with tail between her legs and a wrap on the proverbial knuckles. Oh Mamma! Mamma's special mention: 20 or so minutes further along the Great Ocean Road is Wye River Beach Hotel for an amazing pub lunch by the sea! For latest prices and to book click HERE.